The decoration is symmetrical from the centre, although the two scenes are slightly different. It is overhung by a large sky sign part of the original blue colour still exists. The solar god Re-Horakhty is seated, his falcon head surmounted by an enormous solar disk surrounded by a cobra. Behind him is Anubis, whose head has disappeared. The text above them states: "Re-Horakhty, lord of the sky, lord of eternity. 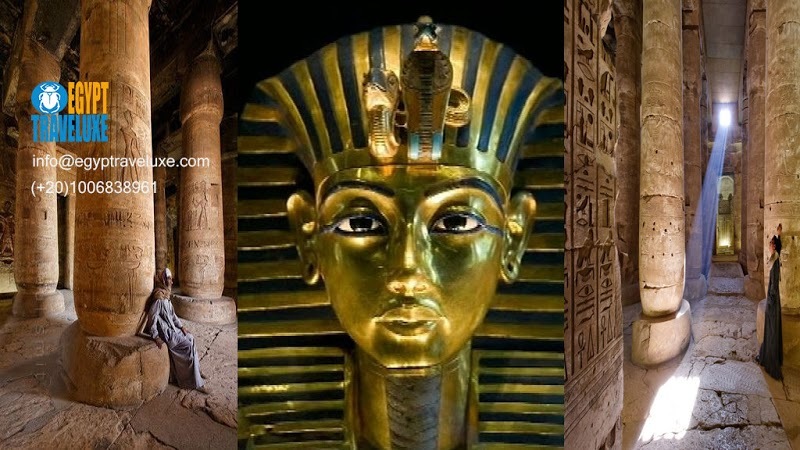 Anubis, who is the embalmer, the great god, lord of the Sacred Land". 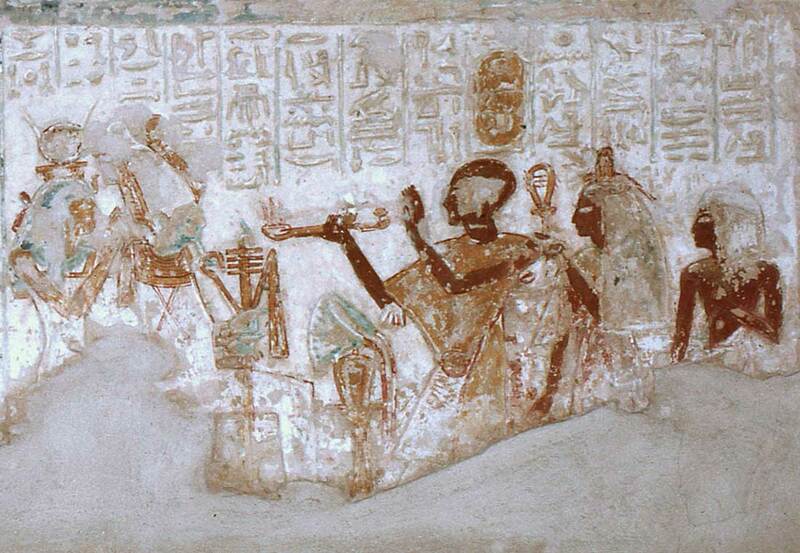 In front of him, Khonsu makes an incensement and libation, accompanied by the text: "Offering all good and pure food to your Ka, 0 living god, for the Ka of the high-priest of Menkheperre, Khonsu". He is followed by "The mistress of the house, the chantress of Amon, Maia, justified" who waves a Hathoric sistrum. At her side is a small daughter. 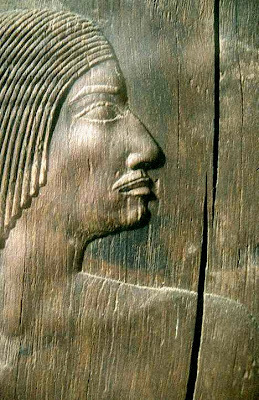 Finally, At the rear is "His son, the second priest of Menkheperre, Khaemwaset". This time the seated god is: "Osiris, who is at the head of the Westerners, the great god, lord of the sky". The goddess who watches over him is: "Isis, mistress of the sky, ruler of all things for eternity". She wears on her head a mortar on which has been placed two lyriform horns framing a solar disk. At the front of her head is a uraeus. Khonsu stands in front of the gods, to whom he offers an incensement, accompanied (above him) by the text: "Praise to your Ka, Osiris-Unnefer, prince [of eternity] for the Ka of the great priest of Menkheperre, Khonsu". Behind him again stands a woman and a young man, but the accompanying text has been modified, which has resulted in the disappearance of her name. This was probably his mother Tauseret, followed by "the overseer of the horses of the lord of the two lands, Usermont". 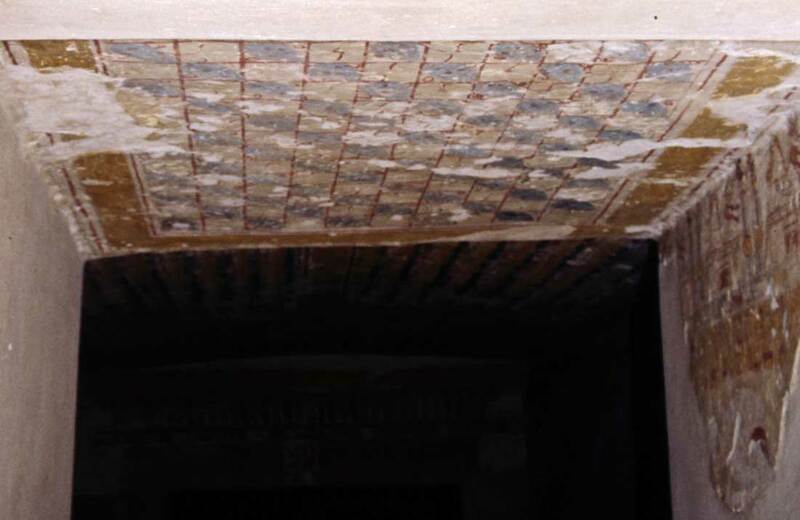 Here, only a small upper portion has survived a small section of the frieze (right side of as well as some columns of text: "... His son, [the high-priest of] Sobk, Usermontu. His mother, the greatly praised of the lord of eternity, the chantress of Montu, [Ruia]". All that survives here are the feet of a priest followed by those of a woman and a man; they face outwards. 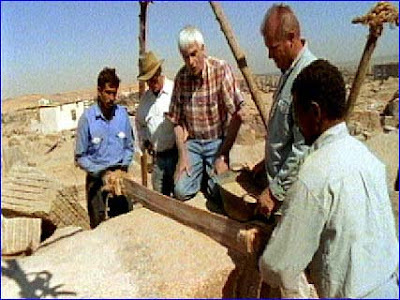 Davies found fragments which appear to have belonged here, of an important scene, because it contains the name and titles of a vizier: "... high-priest of Ma'at and mayor ..." to which should be joined certain fragments a tall representation wearing the characteristic dress of the office, including a baton ). Considering what has already been seen, this choice location cannot be occupied by anyone else other than the famous ancestor, vizier Usermontu. Some fragments of original titles can also be read: "... divine father, beloved of the god, who [is informed] of the secrets...". 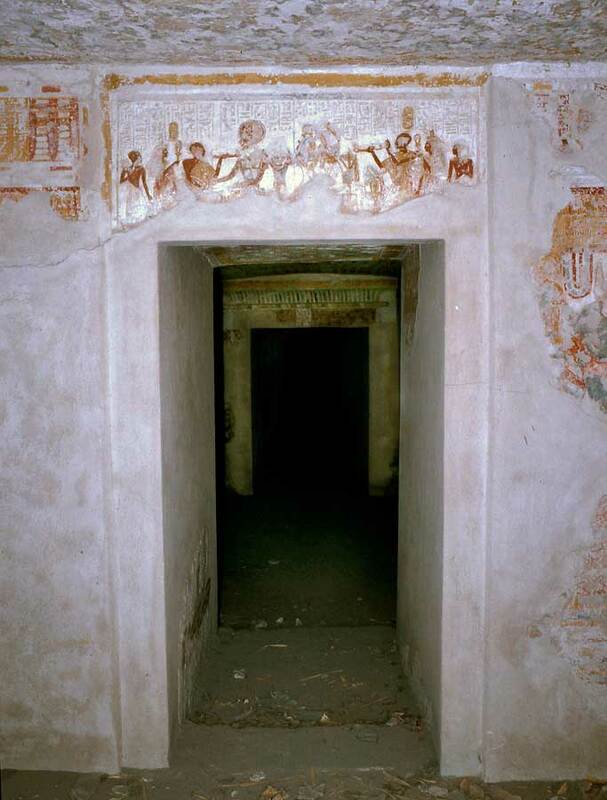 When standing in this passageway, it is very apparent that the longitudinal chamber, which will next be entered, is almost empty of decoration. 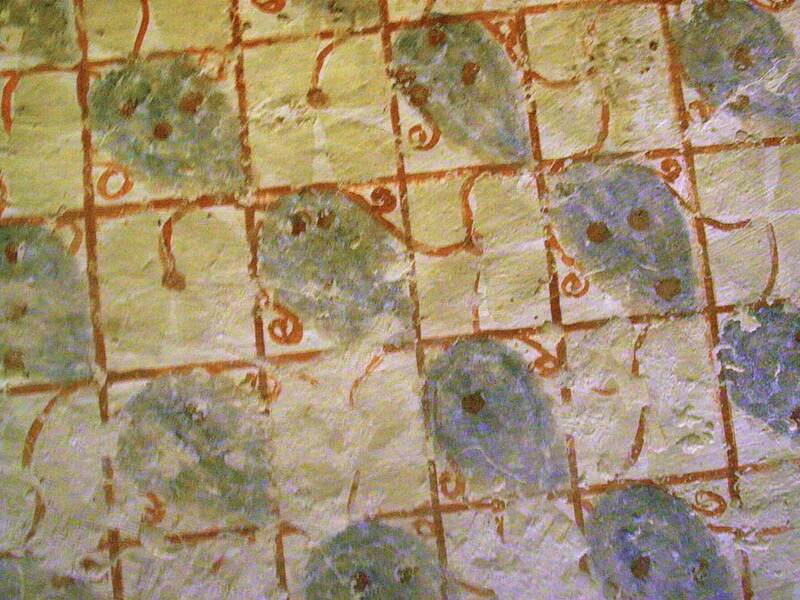 Originally it is apparent that the walls were fully decorated but now include only a few fragments, however, the ceiling decoration has survived.